The organizers of the Al-Quds Day Rally in London, on 4 September, 2010, have called for a high turn-out to show solidarity against counter-demonstrations organized by Zionist and Fascist groups. Police have warned the organizers that the English Defence League (EDL), March for England and the Jewish Defense League (JDL) groups are planning to try to disrupt the event, which is organized by Muslim groups but supported by others including the Stop the War Coalition and Jews Against Zionism. Since last year’s Al-Quds Day event, which was marked by confrontations with counter-demonstrators including the EDL and Zionist groups, supporters of the Palestinians have noted increasing cooperation between Zionists and far-right groups trying to disrupt pro-Palestinian demonstrations and activities. Al-Quds Day is an annual day of solidarity with the Palestinians and other oppressed peoples marked by Muslims around the world at the end of the holy month of Ramadan. Annual rallies marking the day have been held in London every year since 1980. Supporters of the event in London this year include the Muslim Council of Britain, the Stop the War Coalition, Jews Against Zionism, the Islamic Forum of Europe and the Federation of Student Islamic Societies (FOSIS). “Al-Quds Day has traditionally been a peaceful family event attended by Muslims and others from all over the country, as a demonstration of solidarity with ordinary people suffering in Palestine. Last year’s problems and the threat of similar problems this year, are deeply worrying therefore, especially as the groups involved have a history of violence, and the JDL has been linked with terrorism in the USA and elsewhere. 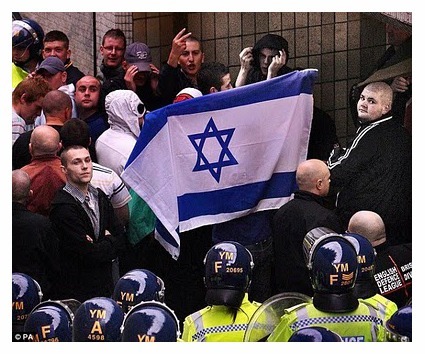 “The growing alliance between apologists for Israel and far-right extremists like the EDL, now regularly witnessed at pro-Palestinian events, is of growing concern to all supporters of Palestinians in this country. We strongly believe that everyone, Muslim and non-Muslim alike, should be able to express their views, and stand up for victims of oppression anywhere in the world, without facing these sorts of threats and intimidation. Place: Assembling at Marble Arch; marching to the US Embassy in Grosvenor Square. • Sheikh Bahmanpour, Islamic College of Advanced Studies. • Massoud Shadjareh, Islamic Human Rights Commission. For further information, contact the IHRC Press Office on (+44)208 904 4222 or (+44) 7958 522196.